Our 2nd fundraiser will take place at Rhodell’s Brewery from 4:00 to 8:00 PM with free snacks, good beer, and a good cause. 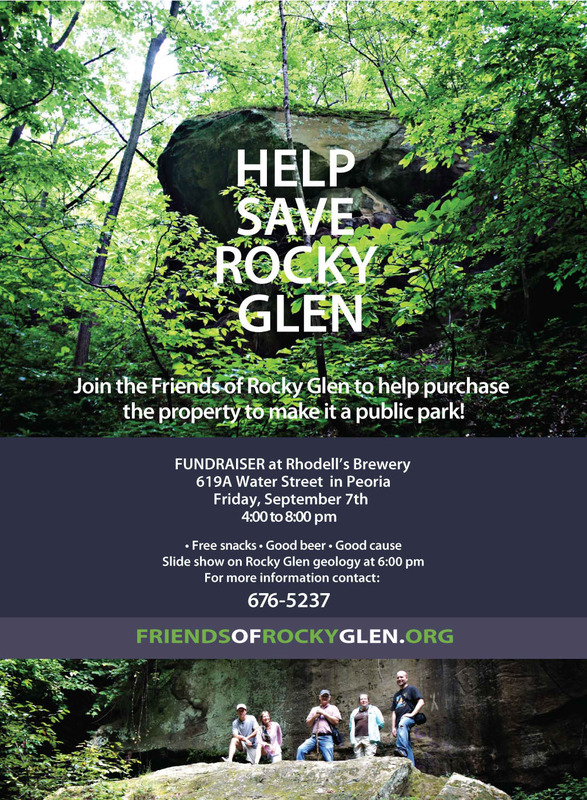 A slide show presentation will occur at 6:00 PM on the geology of Rocky Glen. For more information, contact 676-5237. To help join the cause now, make a donation through our donation page. We hope to see you there.